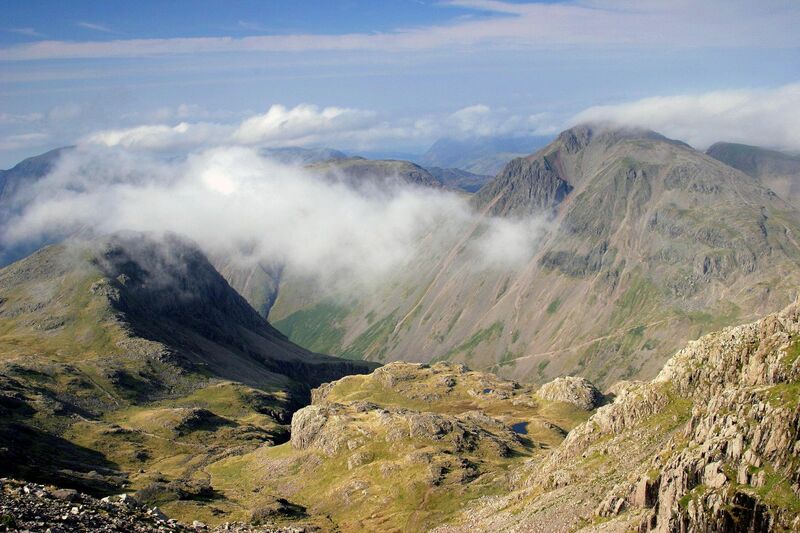 I took this image of Great Gable and Kirk Fell from the Corridor Route on the way up Scafell from Seathwaite. When we set off, low cloud and rain had threatened to spoil the day. However, shortly before the top, the cloud started to disperse and a fantastic view over to Great Gable and Kirk Fell emerged.